We just can't have enough of the Marvel Universe, really! Can you believe it? Marvel Studios' Avengers: Infinity War will arrive to theaters earlier than expected. But I know you already knew about it. I just wanted to double check to make sure you were paying attention. Like if knowing that we'll be watching this movie to celebrate one of our family's birthdays wasn't enough, it's going to be an epic celebration that will start a week before, and for that, we are thrilled. The wait has come down to only a little over a month, and we will finally see what all the previous movies in the franchise have been leading to; the battle against Thanos--whaaaaaaaaaaat? I know! So because we love to spread the excitement, check out the newest poster of Marvel Studios' Avengers: Infinity Wars, and watch the newest trailer to get the superhero energy flowing. Wow! I'm beyond giddy for this movie to hit the big screen. I think I am getting a little too emotional about this, because we've been waiting for years, watching each film in the franchise as they become parts of the puzzle leading to this film. And now, now we'll get to see the big picture. 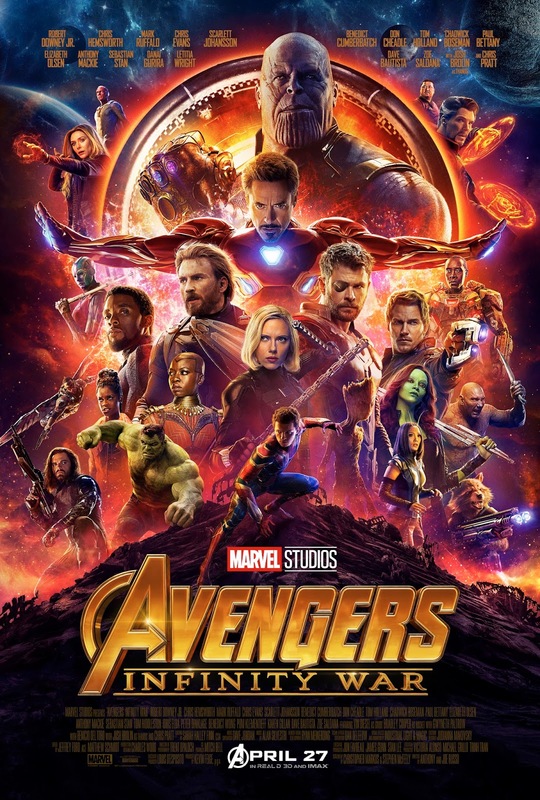 I think that although I love watching all the individual hero films, because you get to know about the background of each of the characters, my favorite will always be the Avengers franchise, because I get to see all of my favorite characters working together towards a common goal--saving the universe from the bad guys. I've always loved browsing through my superhero comic books, and when the characters I grew up with became real through so many talented actors, artist, writers, directors, and literally everyone involved in the creation of each film, I became so grateful with the seventh art. I've always enjoyed watching movies, but what I enjoy the most, is when part of me becomes a child again when we are sitting at the theaters and letting ourselves submerge into this action-filled world. So, here are my questions to you: Before all the individual movies came out, who was your favorite Marvel Superhero? Mine have always been Rouge, Gene (Phoenix), Iron-man, Spider-woman, Wolverine, Gambit, and Firestar. Some, I'm still hopeful to see in future Marvel films. Are there any new characters that you are hopeful to see in the franchise or even in the Avengers films? Let us know in a comment below. We'd love to read you. Don't forget to follow us for more news on Marvel Studios' Avengers: Infinity War and more exciting movies. Until next time, remember to smile--because it's contagious.